In Granville Schools, our mission of Learning for Life is accomplished through the combination of our curricular, instructional and assessment practices to get to the "heart" of individualized student learning. 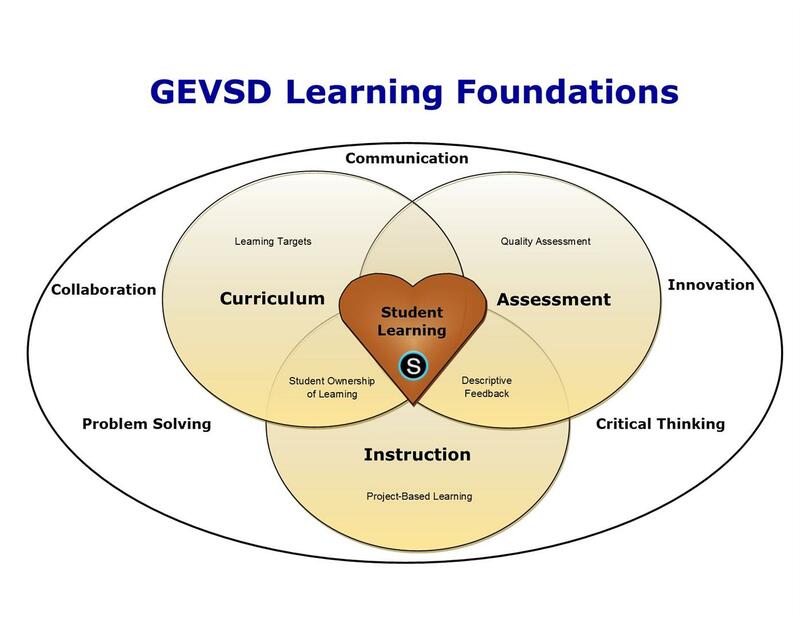 We use the learning foundations image above as a symbol of that relationship. Embedded in this approach is an intentional focus on student success skills such as problem solving, collaboration, innovation, critical thinking and communication. These success skills are part of a necessary skill set for our students no matter the career path they choose in the future as a part of the World Class Education we provide students. Professional development in the areas of Formative Instruction Practices, Project-based Learning (PBL), and our learning management system Schoology has prepared our staff to provide these research-based, innovative classroom experiences for our students. This site was developed to provide information related to grade level expectations, links to educational standards, standardized testing schedules, and other resources for our key stakeholders – staff, parents, students, and community-members. Further information can be found using the links on the left side of the page. Please understand that documents will continually be revised and developed to provide the most accurate information possible. Feel free to contact your teacher, building principal, or the Assistant Superintendent with any questions.